Haitians are a proud people and for good reason. They were the first colony to free themselves from slavery and overthrow a ruling class. The revolution, set off in part by the French Revolution, led to a bloody battle and punishing reprisals from European nations. Some two hundred years ago, one of my ancestors, Philibert Fressinet was a commanding officer in an invasion force sent to Haiti by Napoleon in the worlds then largest naval fleet to attempt to recapture the wealthy colony of Saint-Dominique (now Haiti) and re-instate slavery. In some ways, I wanted to go Haiti to absolve my ancestors sins and to see for myself what a revolutionary colony looks like. It’s not pretty. I have travelled to poor places before – Ethiopia, rural China, Mongolia and others – but Haiti in 2015 is truly a place in desperate need of massive assistance. The Haitians fight for liberation started in 1791 and allowed them to free themselves from the bonds of slavery, but it left them in a political quagmire that lasts to this day. Walking through the streets of Port-au-Prince or smaller cities you see abject poverty nearly everywhere, yet you also see tremendous pride in the faces of everyday citizens. This fascinating contrast is difficult to explain. The expressions on their faces are different from any other non-white people I have met. Nearly all people of colour around the world were subject to colonialism at some point in time – everyone from the aboriginals in Canada to the people of Africa and Asia. When I visited Tanzania many people did not look you in the eye, their head and eyes turned downward upon sight of a white person as if to say they were subjugated. I would claim that this is even true in the United States with African Americans. An ingrained inferiority complex beaten into certain peoples takes generations to root out of a society. 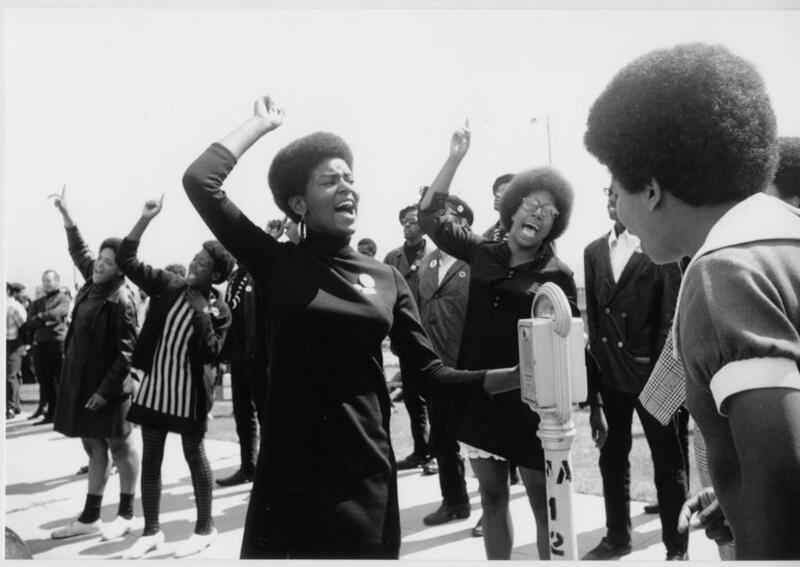 Some mouvements can accomplish the feat of instilling pride in a oppressed people and one of the most recent attempts was the Black Panthers, who led a fight for equal rights and dignity in the 1970s before imploding due to FBI sabotage and infighting. They had a similar image of pride in their eyes. The Haitian people, if anything, are about freedom – freedom of spirit and of body. You can see this passion and righteous freedom in their eyes like I have not seen in may other people, except those of the ruling classes in other countries. 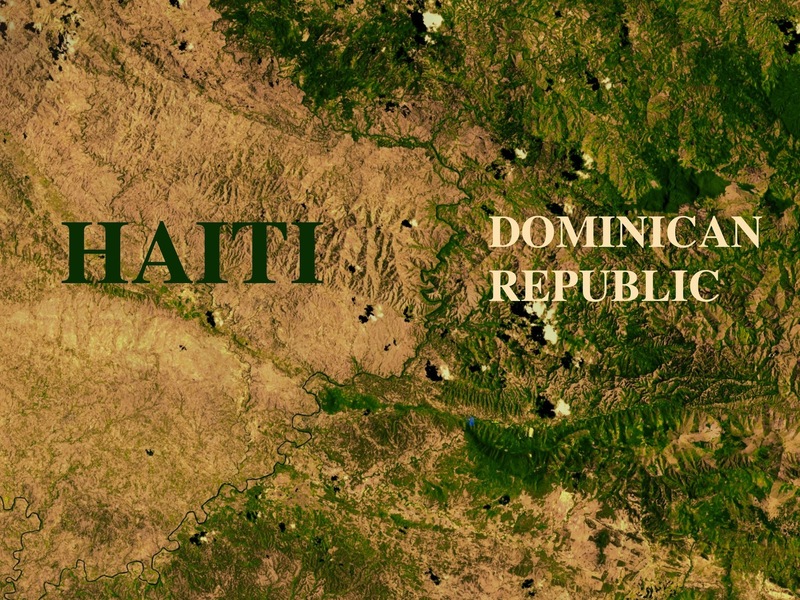 Haiti is tiny and mountainous an has over 10.32 million people who congregate in the valleys and near the water, making towns and countryside incredibly dense. The deforestation and its impacts on agriculture and sustainability are well documented in book such as Collapse by Jared Diamond. Simply flying over the country you can see the demarcation with the Dominican Republic, which has remained forested thanks to strictly enforced laws. All this to say that Haiti has a serious and not easily remedied problem: too many people and not enough land and resources. The second main issue I could see in Haiti is that anyone with either an education or a bit of wealth leaves the country. This emigration empties of the country of a potential middle class. After the revolution some of its leaders got greedy and established a ruling elite not dissimilar to other central and Latin American countries. One leader, Henri Christophe ruled the north and even thought it was a good idea to reproduce, in exacting detail down to the specific titles, the aristocratic structure of Europe. This ruling elite has continued to exist until today and they seem to have little interest in developing the country. Much of the the aid money sent to Haiti often ends up in their hands. Without an educated middle class to counter the power of an elite, it becomes very difficult to establish the rule of law and build up an economy. Third, foreign intervention is not new to Haiti. After the 1791 revolution and under threat of invasion, reparations estimated at 20 billion 2015 dollars were paid by Haiti to France for loss of property including Slaves. Successive interventions occurred over the years up to the American invasion in 1915. Today, foreign intervention is more subtle, but it is a major influencing factor on the politics and opportunity for the Haitian people. From controversial deals that prevent the application of Haitian law in a section of the North Coast and potentially an island Carnival Cruises has leased out land for foreign tourists to enjoy. The massive investments by foreign embassies, aid organizations and other non-profit groups has an impact on the relationships between foreigners and Haitians and between Haitians themselves. These investments, often done behind back-doors, makes it challenging for an economy to be built as Haitians will often use aid money to buy products from China or the Dominican Republic instead of building factories for their own production. In short, a system of dependency has been created that is sadly aligned with some of the interests of the ruling elite and certain foreign entities. It would be nice to say that I am optimistic for Haiti, but I fear I cannot be. With no president and increasing violence, Haiti seems to be in a situation that cannot easily be corrected. There are so many problems that any realistic solution would need to involve the relocation of millions of people, the investment of billions of dollars and the return of educated émigrés. If there is one thing Haiti undeniably has it is honour and pride in their remarkable revolution that is well documented in C.L.R. James book, The Black Jacobins. It would be a great victory to see Haiti prosper, but if there is any lesson to be learned from them, it is that one should not understate the power of foreign countries, corrupt elites and revolutionary fever.